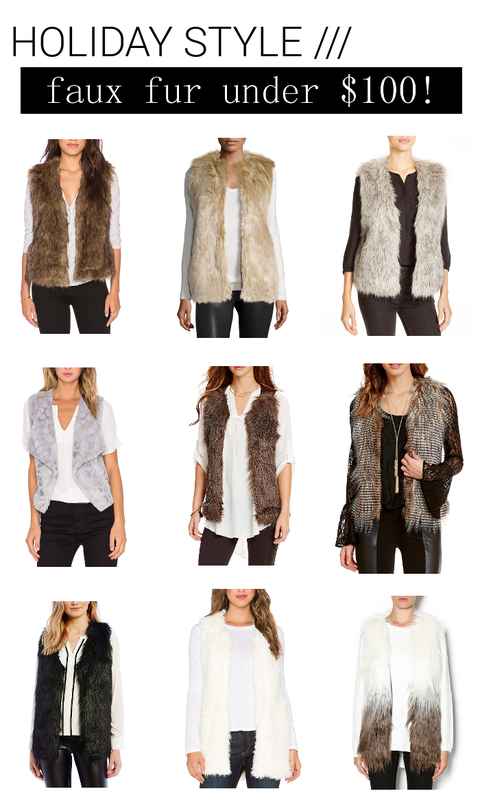 Something that I always find myself throwing on during all the holiday festivities is a fur vest. They are so easy to style and add a little flair to a casual outfit. I normally wear faux fur with black leggings, skinny jeans, and even leather pants for a flirty look. I love that there are so many different styles and colors available. I put together a few that are all on sale for under $100, can't beat that..shop my picks below. What are your favorites and how do you normally style faux fur?